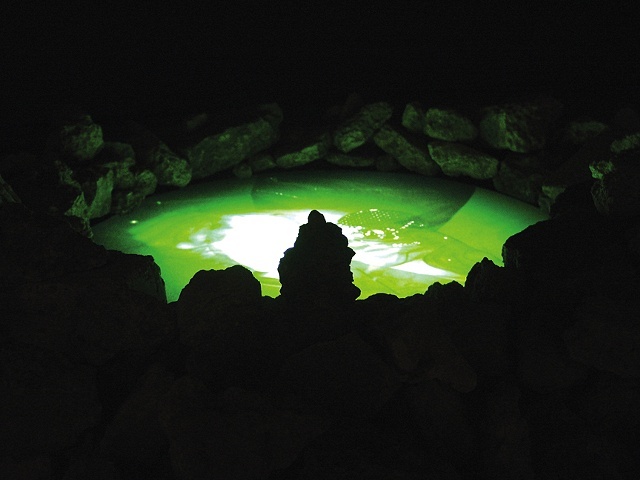 The piece involved a darkened room anchored by a conceptual wishing well. The well form consisted of large quantities of concrete rubble gathered from the streets of West Oakland. 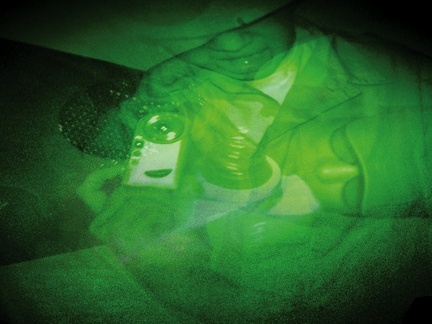 This form surrounded a “pool” of lenticular images shot in night vision green. 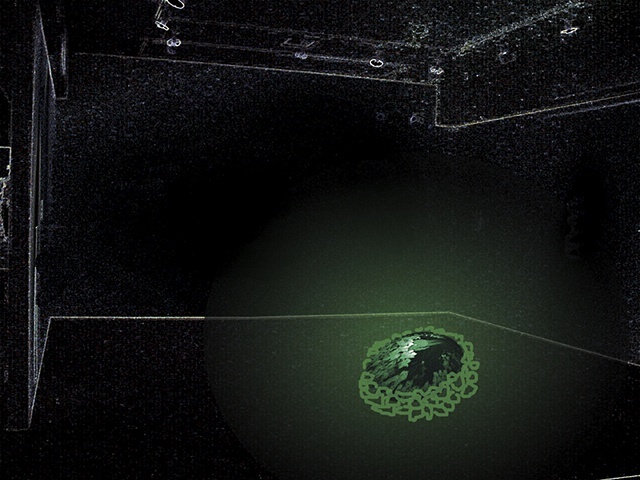 Various image layers appeared and dissolved as the viewers moved around the well. The images alluded to news coverage and the limited information being transmitted from the sites of the wars in Iraq and Afghanistan. The three-dimensional form alluded to water wells (sustenance as well as loss or frustration), wishing wells where fantasies or curses could be cast, as well as structures demolished by combat and markings assembled from rubble.